I truly wish that I had a grill to grill this pizza on! My oven will have to suffice. Ooo I so wish I had a grill to try this but luckily the toppings are at least accessible. I LOVE olives on pizza. 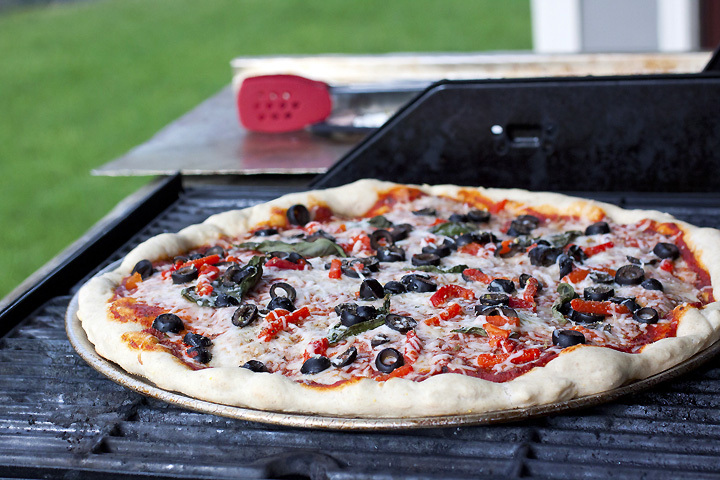 Yummy, I just love grilled pizza! I will have to try this garlic pizza dough. it looks so good! Just tried the dough recipe and it turned out really well. I did, however, bake it at 400 degrees for about 15 minutes. I'll definitely use this recipe again! Thanks!